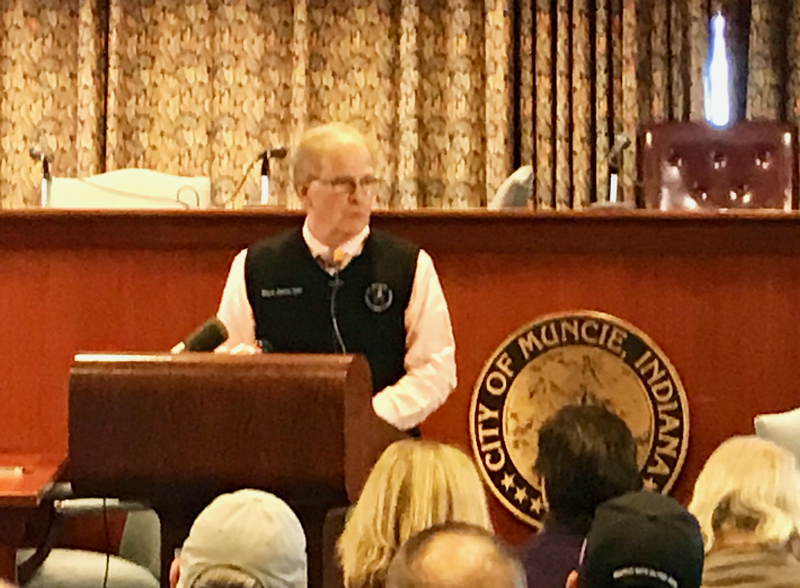 Muncie, Indiana – After my last article had focused on the poor financial condition of Muncie Community Schools, social media and even broadcast news opened up the floodgates of misinformation. Some city council members tried to prey on the misinformation and fears, but it backfired. Also, readers want to know why the only progressive voice in Muncie isn’t supporting our teachers. I also received an in-depth analysis prepared by Ball State’s College of Business and Economic Research (CBER) via Michael Hicks, et al. Therefore, I decided to take a closer look at MCS’s financial problems while the state assigned “fact-finder” wrestles over which contract proposal to choose. That’s absurd. Again, the problem with these charges is they are devoid of any fact. MCS paid a consultant $40,000 to review bus routes and then open up a bidding process for bus transportation services. The results are a savings of $1.2 million which will certainly help reduce our $14 million cash flow deficit. NOTE: Let me be clear; I do not enjoy people losing their jobs. I do not want to see teachers lose their jobs or take a pay cut. However, Muncie Community Schools is responsible for creating a sustainable environment to educate the children within its district. Key word being sustainable or economically disciplined. While confronting their economic realities, MCS has to legally negotiate staff costs with a union (Muncie Teachers Association), a local affiliate of the Indiana State Teachers Association (ISTA). I think it’s imperative to illustrate the mission of MCS is much different than Muncie Teachers Association (MTA). Let’s look briefly at the two mission statements. The mission of Muncie Community Schools is to provide a quality educational environment that allows every student to maximize his or her potential and, upon graduation, possess the skills necessary to be a positive, productive, contributing member of society (student centered). ISTA programs and initiatives are centered around supporting public education and educators in the classroom through bargaining, advocacy, professional development and more (teacher centered). I highlighted the two critical differences – MCS was incorporated to educate our kids. The goal of MTA is to represent the union members through collective bargaining. These two organizations do NOT have the same goals. The state requires that MCS be a sustainable organization, so management consists of a specialized group of administrators who ultimately report to a school board. The school board members MUST make decisions based first on the mission statement, and then factor in economic realities. When I hear school board members pandering to teachers or pitting the community against their administrators, it raises a red flag. When I hear school board members accepting campaign donations from MTA, it raises a red flag. I’ll tell you why after we take a closer look at CBER’s financial analysis. CBER’s review explores historical and future enrollment trends, funding, regulatory changes, operating expenses and facility capacity (economic realities). Michael Hicks provided an executive summary (thank you for that addition) supported by a very detailed analysis with plenty of charts and supporting references. Nobody was in denial. School board members knew in 2010 what MCS was facing. Okay, so what about funding? While property tax payments declined, operational funding rose on a per student basis. Today, when comparing a representative classroom of 25 students, MCS receives $34,482 more than the next best funded school corporation in the county (Wes-Del), and $53,993 more than the lowest funded school corporation in the county (Cowan). I’m not sure about you, but this takes the heat off lawmakers in Indianapolis. It’s not a property tax issue because the state raised our sales tax to pay for public education. So, despite all the regulatory burdens facing education in Indiana, Muncie Community Schools has come out ahead. So, if this isn’t a state or federal issue, and MCS is one of the most highly funded schools in East Central Indiana, what’s at the heart of the checkbook problems? Rather, the issue is one of failing to align facilities and staff costs to match the observed 50-year trend. In the decade ending with the last school year (2015-16), MCS lost 26.1 percent of its student enrollment, while the decline in employed teachers was 7.1 percent. Today, MCS maintains physical plant, which can accommodate more than 40 percent higher enrollment. Thus, operational costs are between 15-25 percent higher that warranted and physical plant is roughly 40 percent higher than warranted in the 2016-17 school year. Every forecast of enrollment suggests a continuing decline. I repeat, “Student enrollment declined 26% while the decline in employed teachers was 7.1%”. MCS should have reduced the number of teachers to meet declining enrollment, but they did not. Further compounding their financial problems, despite all efforts made to date, MCS still has an overabundance of space within their existing facilities. We cannot say administrators or board members were in denial because the task force assembled in 2009-10 addressed both these issues. Don’t forget, MCS had closed up buildings and consolidated high schools while floating a $10 million General Obligation Bond in 2014. The bond proceeds were designated (sold to investors) for upgrading aged facilities by performing much-needed maintenance deferred in years past. As we recently learned, as opposed to completing maintenance projects, all the bond proceeds went to pay staff and other operating expenses. Not only did MCS have too many teachers, but the district was also forced to pay higher wages and benefits because of a 2014 “status quo” contract. The reason I noted the conflicting mission statements for MTA and MCS above, the union was doing what was best for its members. However, this union strategy forced the school corporation to pay wages and benefits under an older, more lucrative contract. How lucrative? The state’s fact-finder will make that determination within the next few weeks. I suspect the state will choose the MCS proposal which demonstrated the past two years have been very lucrative for union members. As for my note earlier about board members being too “conflicted” with the union versus serving MCS, tough decisions were facing the school board in 2010, but the union won out. They were victorious again in 2013 and 2014. The union then began stalling in 2015 to save even more jobs, benefits, and wages. These victories have brought financial devastation to MCS where administrators had to take dollars from “designated funds” to meet payroll and maintain contractual obligations. If current board members cannot focus on making tough decisions going forward because of their political connections, they’ll be unable to fulfill their obligation to the MCS mission while operating an economically sustainable school corporation for taxpayers.